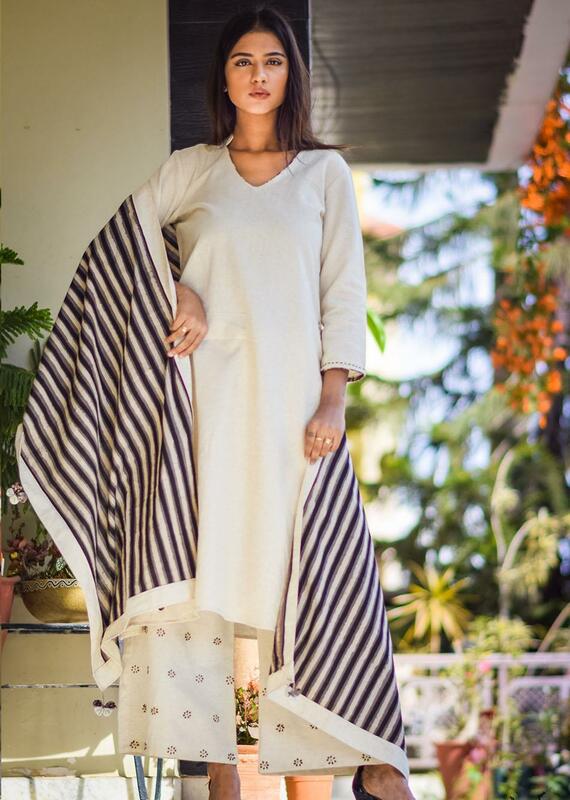 A complete set of off white kurta palazzo and dupatta for all the composed and contained ladies. 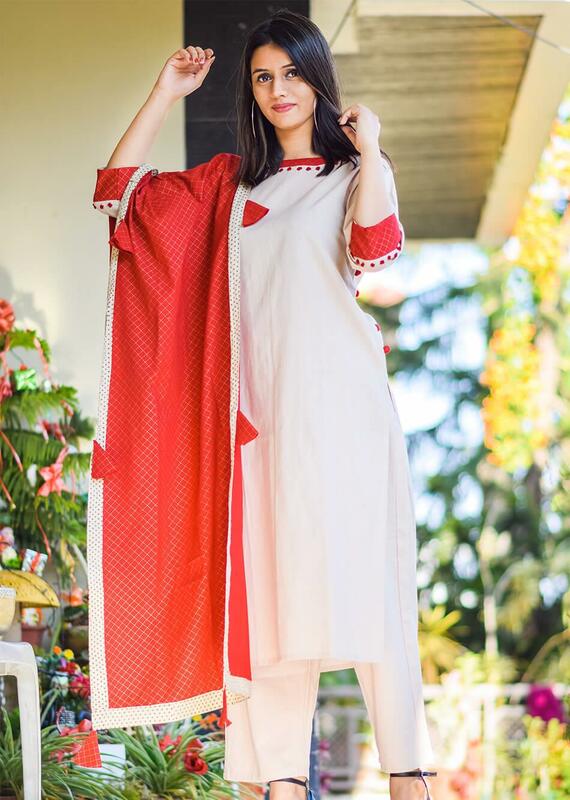 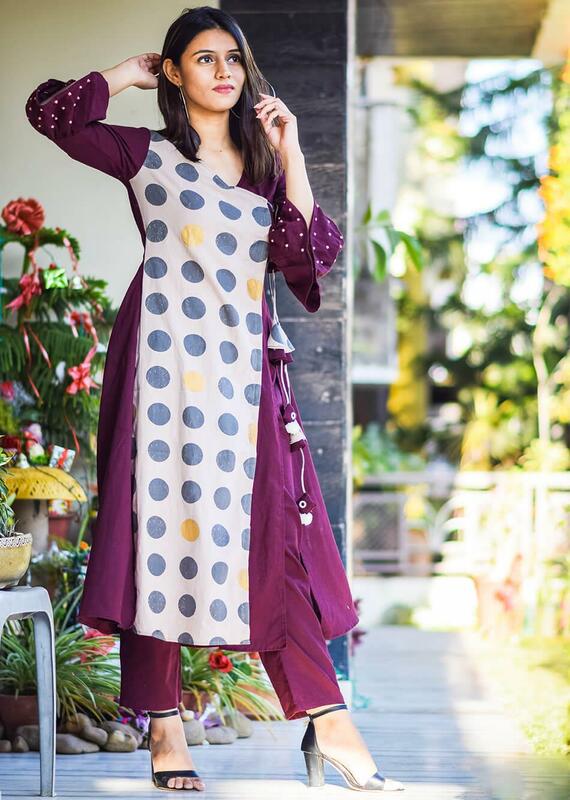 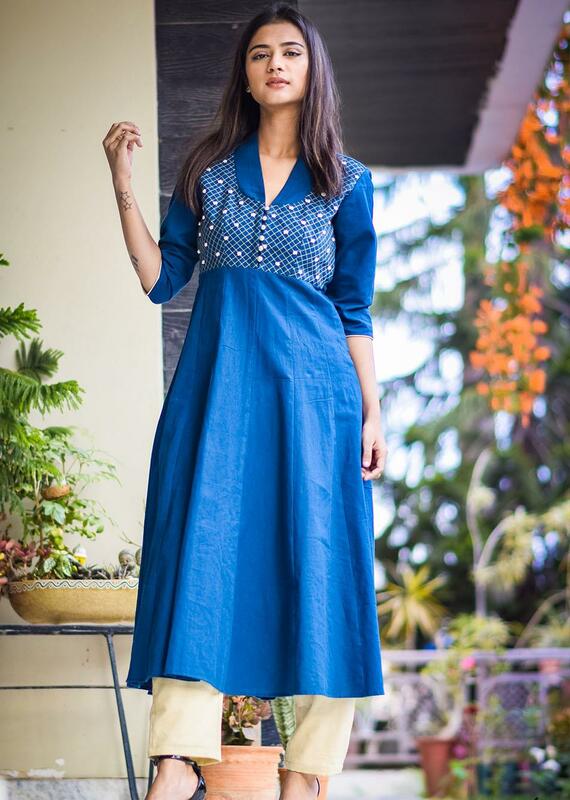 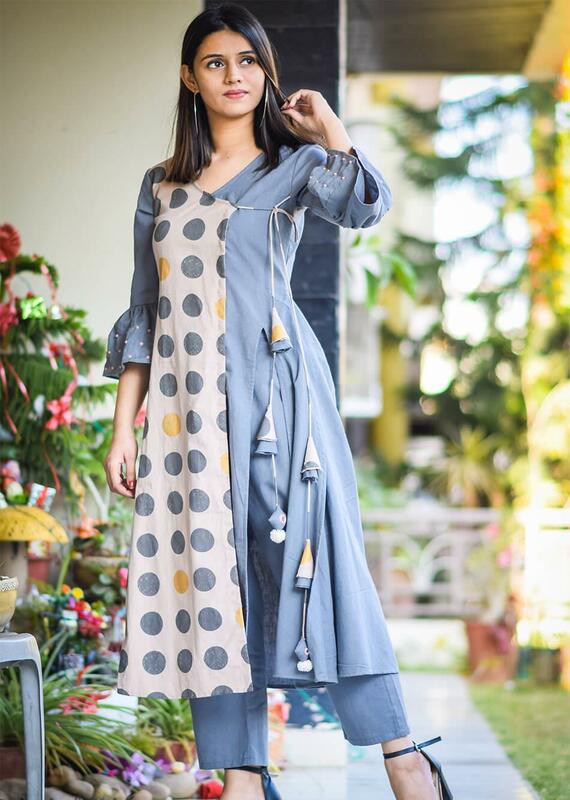 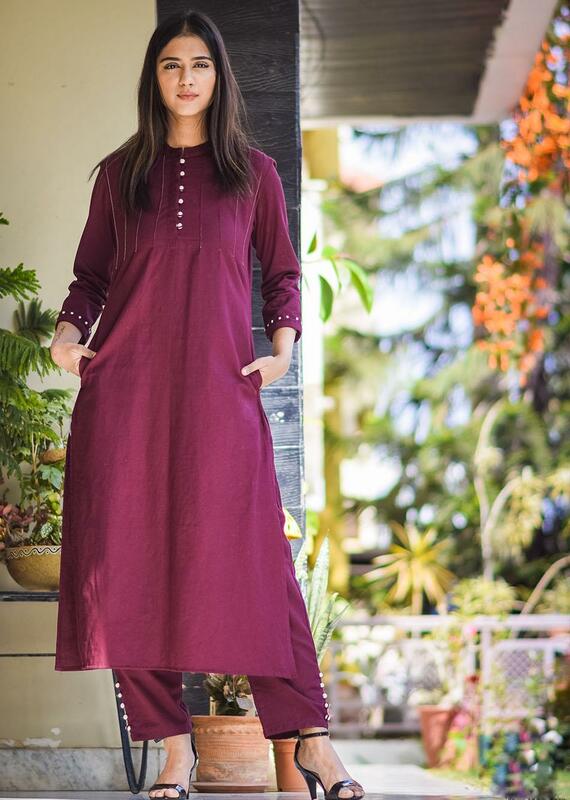 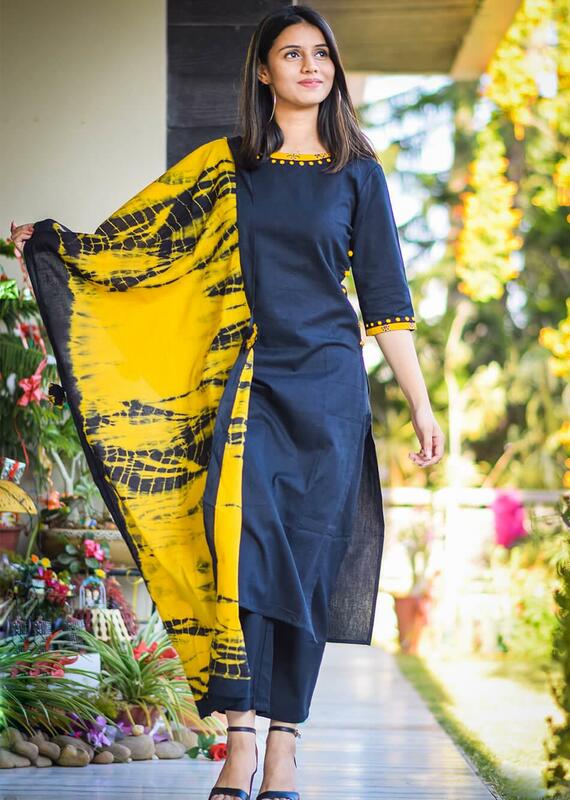 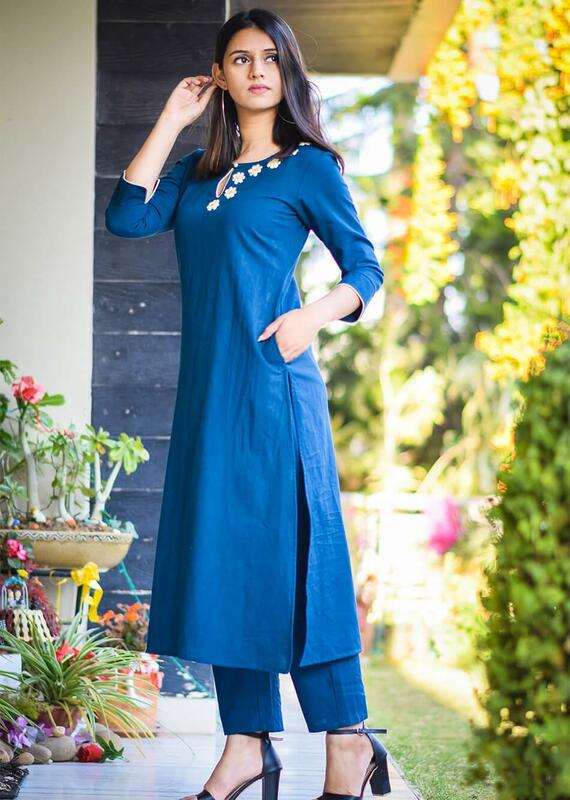 It is a straight loose kurta with three-fourth sleeves and length below the knees. 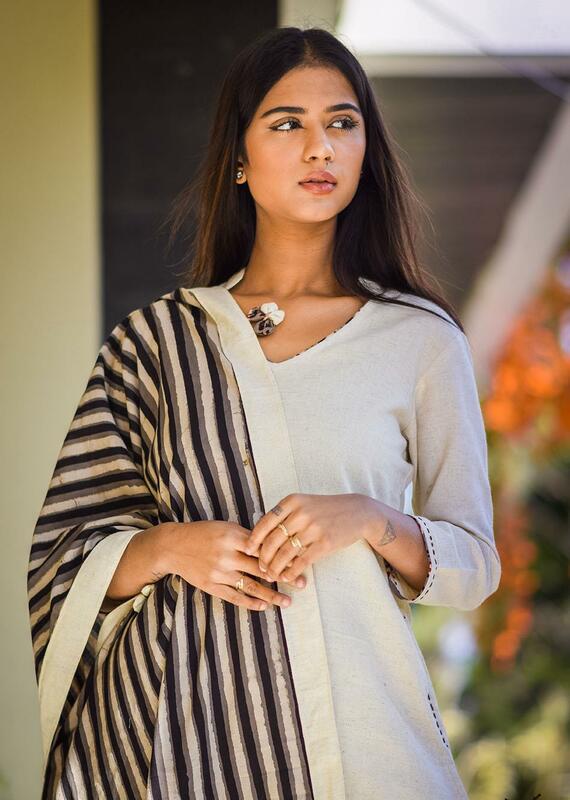 There is a half collar on the v-neck and two side pockets for convenience. 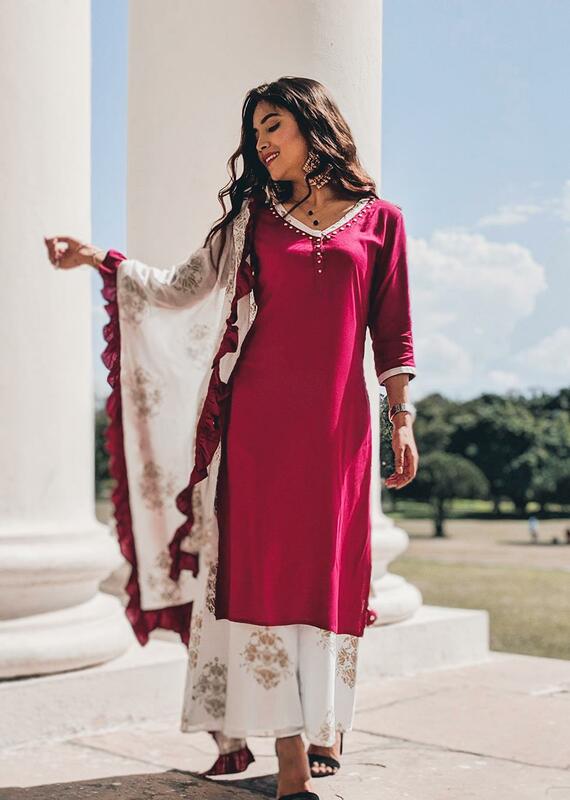 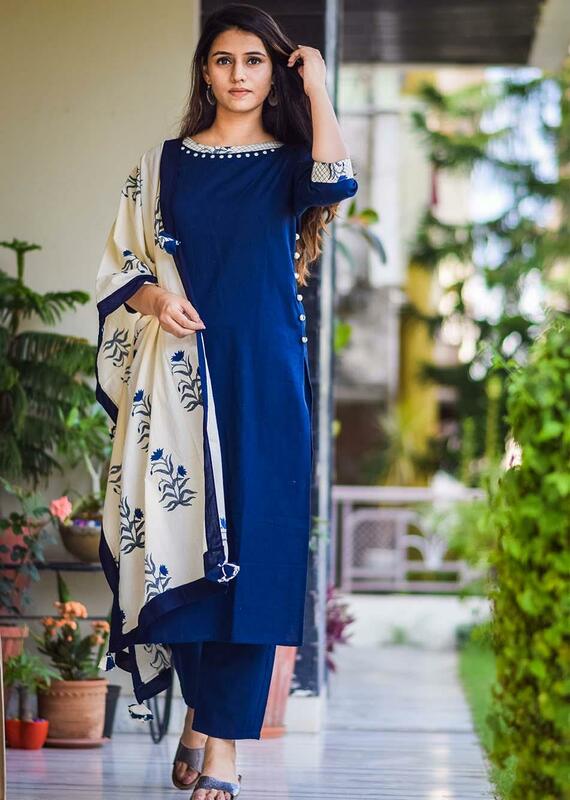 Along with it, there is beautiful embroidered palazzo and vertical inning dupatta, the pairing of which prepossesses the look. 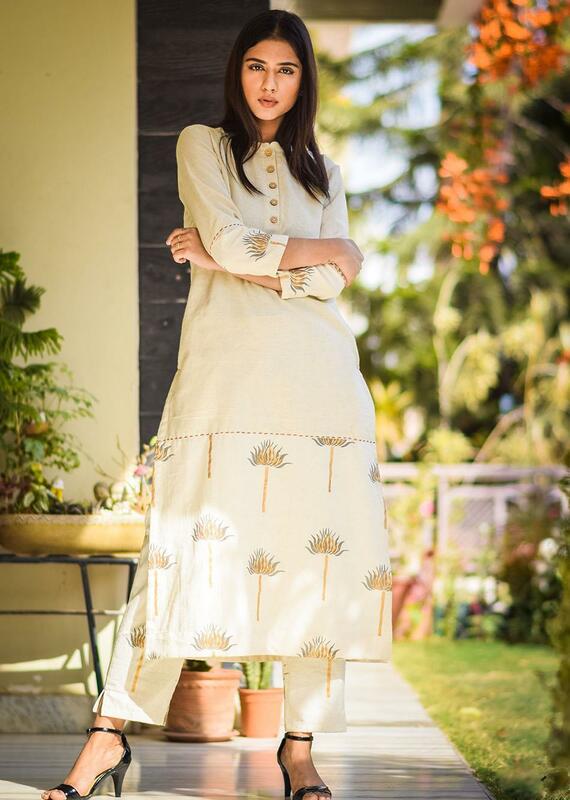 Also, you can see a few highlights on sleeves and pockets of kurta in the form of running embroidery.